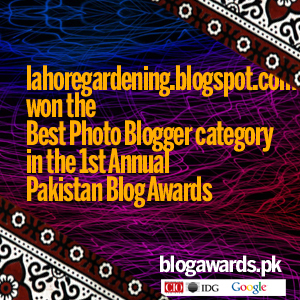 There are lots of flowers in bignonia family which are ideal to the climate of lahore. Some of them are heat loving and flower profusely in hottest months in summer. Some of them are still blooming in monsoon. Some of these are Giant Crape-myrtle, peacock flower and katsagon flowers. Let us have a look. 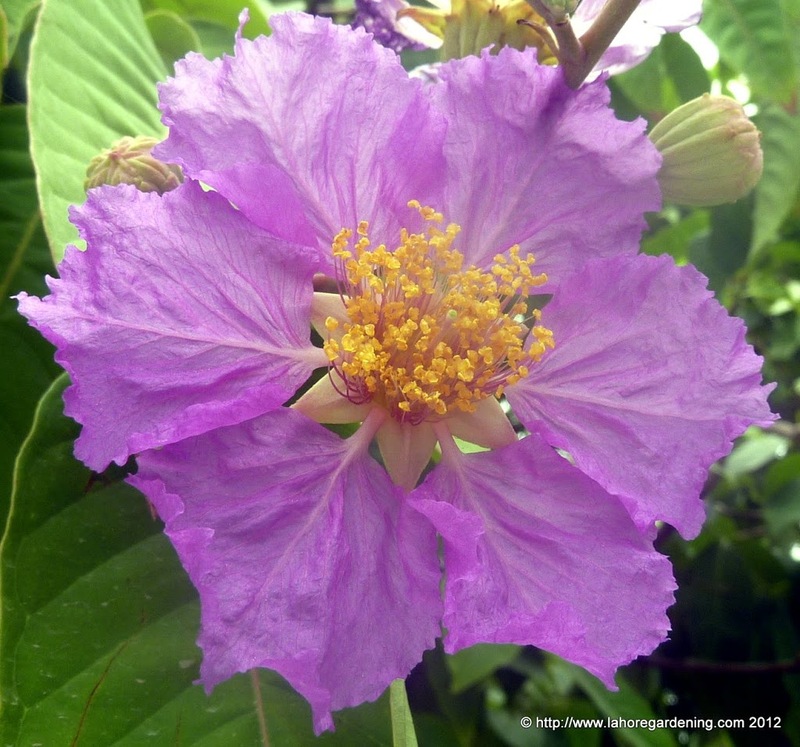 Giant Crape-myrtle with botanic name Lagerstroemia speciosa It is elder brother of common Lagerstroemia indica shrub, but it is a tree not a shrub. It flowers when only few flowers are blooming due to intense summer heat. Lahore is full of these trees and they add beauty and bright colors. Flower color changes with age. 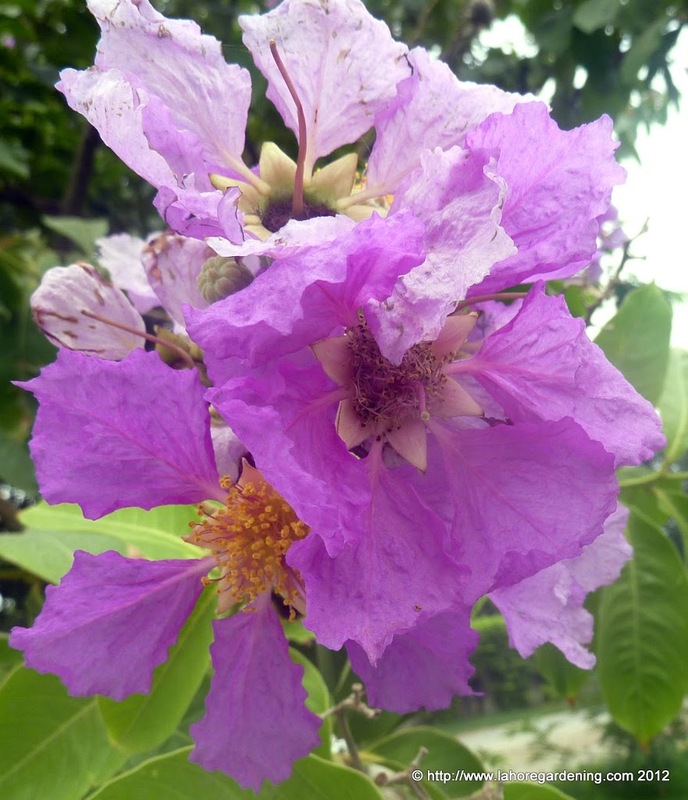 There are lot of colors of Lagerstroemia including white blue, purple, pink. Red color is relatively uncommon however there is a variety named red dynamite which is popular. These are evergreen shrubs and go into mild dormancy in winter. They are drought tolerant when get established. 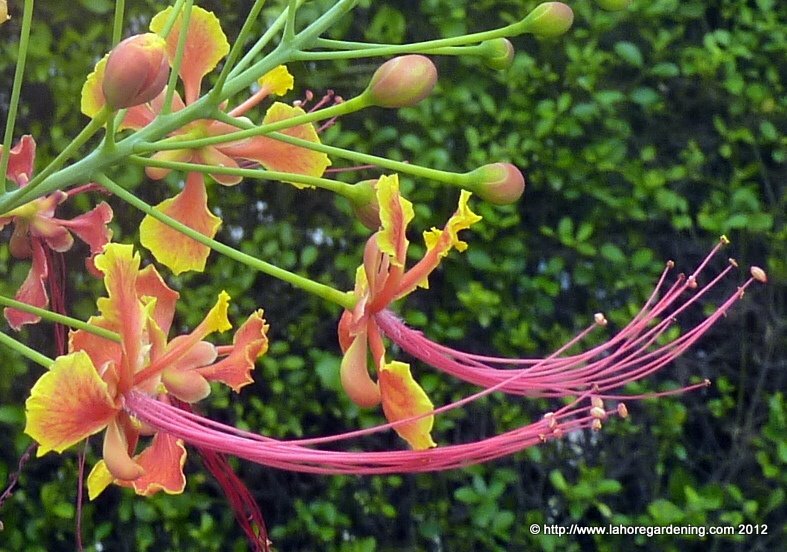 Another common and heat loving flower is peacock flower with botanic name Caesalpinia pulcherrima. Flowers for lots of summer months with bright orange flowers. It is also a very heat tolerant plant. It flowers in the intense heat when not many plants are flowering. It comes in shades of red and pink only. This one is a bignonia family tree with large leaves and yellow flowers. 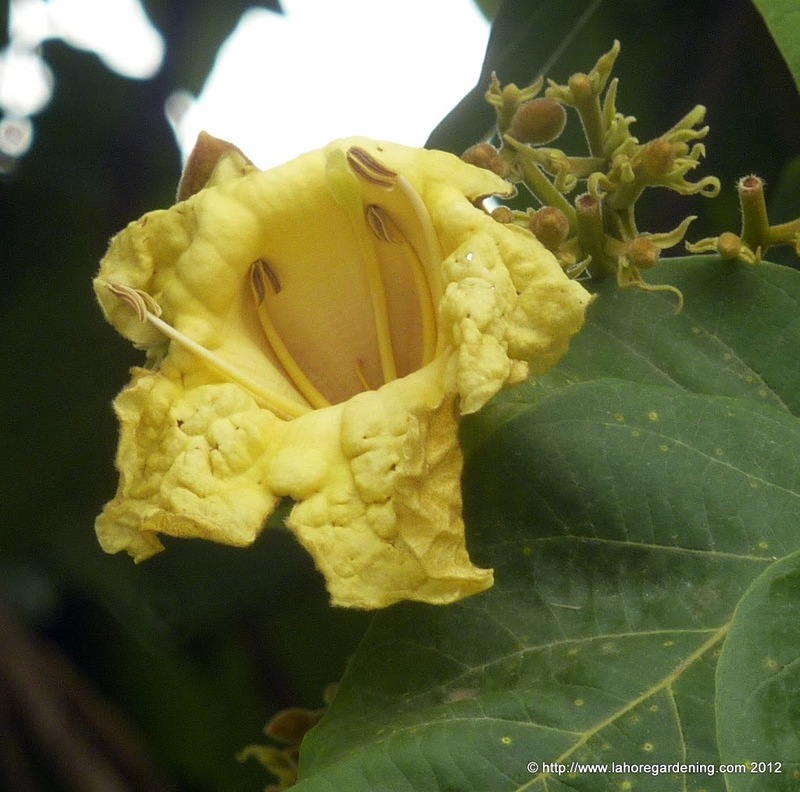 Common name is katsagon while botanic name is Fernandoa adenophyllaAfter flowers are finished the tree is loaded with large hanging beans. This post is featured at Lisa’s Chaos so visit her blog for more gorgeous macro shots. Beautiful blooms. I have the Queen Crape-Myrtle and love it. I love that last bloom. Your flowers are really so beautiful!! Calling by from Macro Monday, delighted to see your beautiful macros. Wow, this Giant Crape-myrtle is just gorgeous! What a beautiful tree! These flowers looks huge and beautiful. The color is stunning and loving it. Thanks for the visit. I wonder if we can grow Crape-Myrtle here in my area. I have heard of it but have really not seen it as beautiful as you have shown it here at macro Monday. Leaves me drooling and wanting some for myself. Nice and beautiful garden shared since there are lovely and good efforts for the published on the different and lovely garden when we go to in that place then we will enjoy it. Beuatiful colored blooms! I do enjoy the show of colors during summer. Such a contrast once the dreary monsoons set in.